The Mat and Cage Replacements for Magic Circle Trampolines are available for 12' round, 13'6" round, 9'x14' Rectagon and 16' Octagon trampolines. The replacement mat and cage are for Magic Circle Trampolines and will not fit other brands. When measuring your trampoline, measure the entire width, at the widest point, outside frame to frame. DO NOT MEASURE ONLY THE MAT! The Mat and Cage Replacements for Magic Circle Trampolines are available for 12' round, 13'6" round, 9'x14' Rectagon and 16' Octagon trampolines. The Magic Cage integrated trampoline system provides the ultimate in safety for your children. THE MAT AND CAGE REPLACEMENTS DO NOT INCLUDE THE SUPPORT POLES FOR THE CAGE. It was designed for the safest of outdoor use with virtually no maintenance for years of safe family fun. The cage is sewn into the mat to create an integrated system that allows the cage to move with the mat so that there are never any openings between the cage and the mat where a child might get their hands or feet caught, thus preventing any chance of significant injury. The Magic Cage is made out of the same fibers as the jumping mat and has a tensile strength of 350 lbs. per square inch. 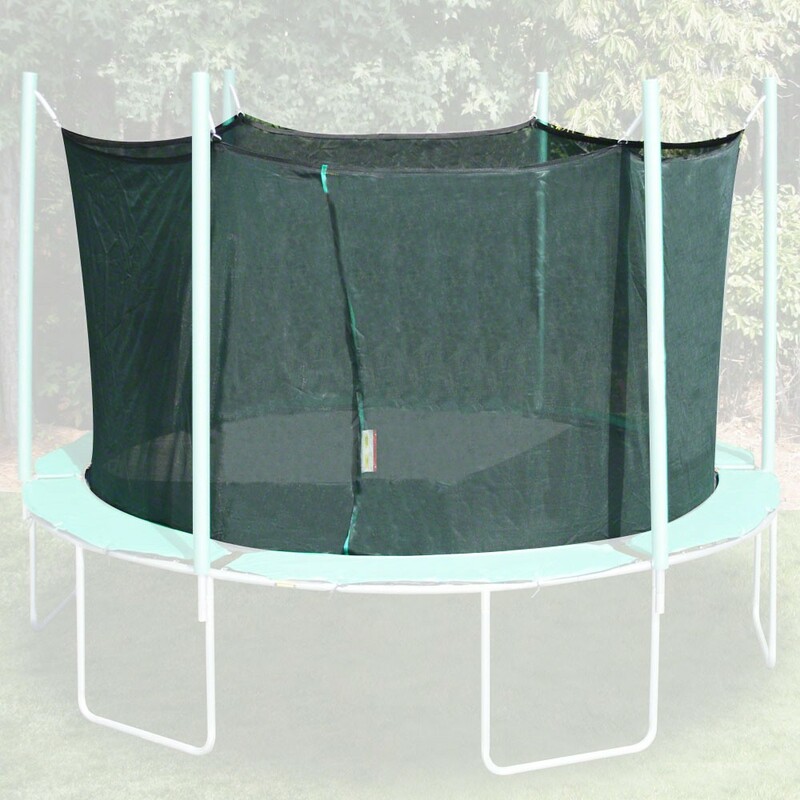 The replacement mat and cage are for Magic Circle Trampolines only and will not fit other brands.